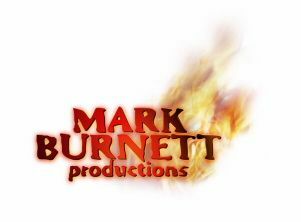 So Mark Burnett is working on a new show which will air on one of the four major networks. It's called The Job and it's a bit like The Apprentice expect for advertising. No, it's not that other show, The Pitch, which was having trouble getting agencies to participate. Which makes perfect sense. Given the show's concept, what agency in their right mind woud want to risk having an Agency.com Subway pitch-style disaster on national television? But don't worry. This show is different. It aims to offer up a Junior Art Director position at a major ad agency to the winner. Each week a few contestants will vie for the position and each week a position will be awarded. That's right. Each week. Not just one job offer at the end of a 12 week run. Basically, is a televised recruitment effort for an agency. And now it's time for the show's casting call. Yup. The show is looking for "the best and brightest creative minds" who want to land a job at a "top advertising firm" and who don't mind going on national television to do so. Interested? Send an email with your name, contact info, a recent photo and a brief synopsis of yourself and why you're "the next big thing" in advertising to TheJobCasting@yahoo.com.